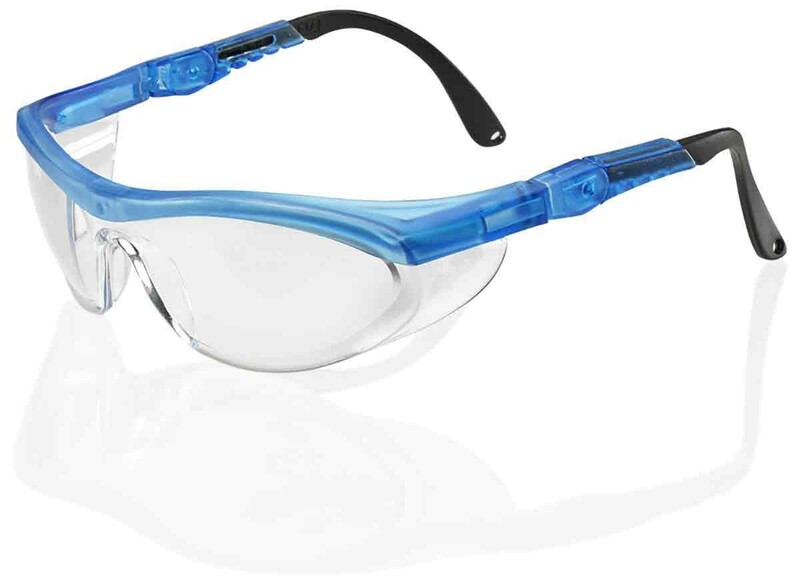 A pair of tough yet stylish UV protected specs by B-Brand. 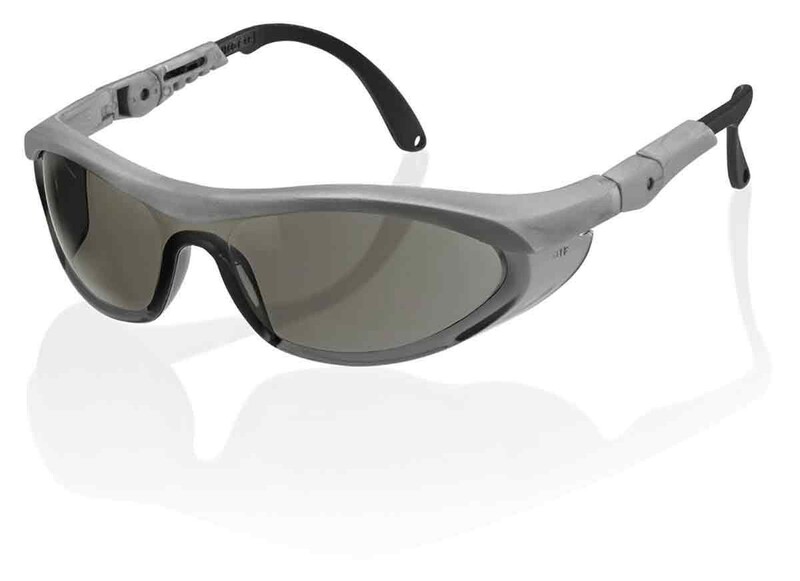 - 8 Curve optically correct lens. Anti-static and scratch resistant. Super tough nylon frame. 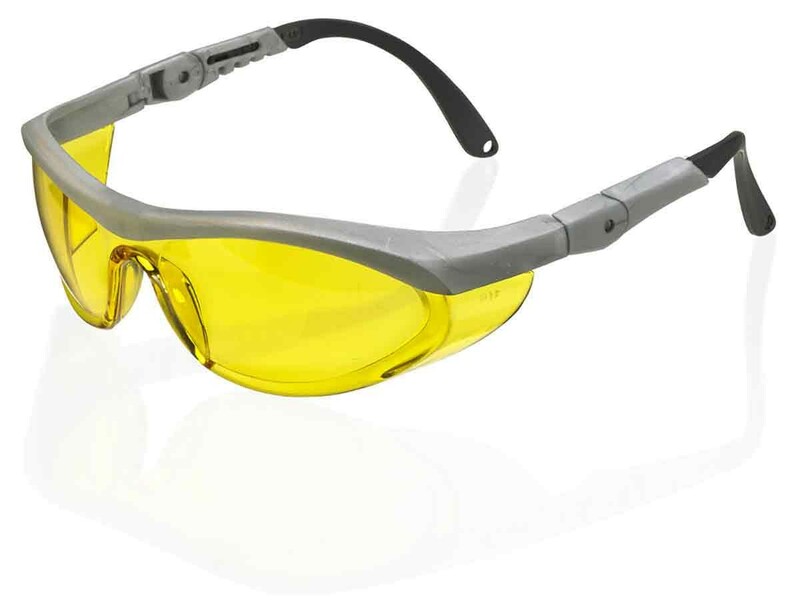 Anti fog single lens and side shields. Fully adjustable side arms with temple ratchet. Complete with unique neck clip and cord. 99.9% UV protected. Conforms to EN166 and ANSI Z87.1.